The stock market is an open market, which means that anyone who has money can buy shares. This directly means that there is a lot of competition in the market to get the best results. The result is that a lot of investors are going to lose to the investors who make the better decisions. Investing in the stock market is complicated due to the many factors involved in it, so one needs to be very informed about it. So what are the basic points on which one has to ponder before taking a plunge in the much complicated stock market? Even though a large segment of the general population knows about the stock market, and even have invested in it, they do not necessarily know the best practices to follow when investing in it. If you do not want to be among this group of investors, you should educate yourself about the different types of investing strategies. One of the most popular and effective strategies is value investing which is followed and recommended by legendary investor Warren Buffet. Whenever you invest, always look for those companies which have a proven track record and are profitable. Patience is another key factor to invest in stock market. If an investor has no patience and lose interest in the stock market due to short term upheavals, he or she is going to make wavering decisions. One should keep himself well informed about the stock market and have discussions with your friends and family members about the information. You will need to find the best companies that you can invest in. Choosing the ones that have the biggest potential for growth is far from a trivial task. However, you can reduce the scope of your work by focusing on one type of industry, such as Oil or Information Technology. Even in the best case scenario, you will still need to research dozens of companies to find the ones that show the best potential for growth. With the growth of the Internet and literature on the subject, today it is very easy to find information about companies online. Tools like Google Finance allow us to select shares of companies depending on their price growth, and dividend paid out. More complicated tools are available with professional brokers. These tools will definitely make it much easier for you to do your research. 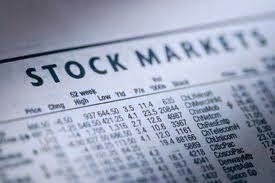 When you want to buy and sell shares from the stock market, you have to use the services of a stock broker. In the past, stock brokers used to take orders on phone. Clients would call the stock broker, and place an order to buy or sell. However, this cumbersome system has now been changed by the use of Internet. Today, you can place any order online by logging onto your brokerage account. Brokerage sites also allow you to use different types of tools and services so you can make better investment decisions. In this regard, it is important to choose a broker whose tools are more useful for yours style of research. Further, when selecting a broker, make sure that their fees are reasonable. It is always desirable to have some buffer money even after you have invested in stocks to increase your portfolio or to not feel stuck if the stock bought are devalued because of fluctuations in the stock prices. The actual process of buying shares is much simpler; what is complicated is what you have to do before you decide what shares you have to buy. As long as you make wise choices, you will get the best results from your investments in the stock market. You should not invest in damaged companies. Investing in damaged stocks is okay. A downturn in a stock can be buying opportunities, but the drop has to be temporary one. When company’s Miss Key deadline or make errors, you know it is the perfect time to invest.